June Park (Seoul National University) discusses the strategies deployed by recent South Korean administrations to meet domestic targets for economic growth and innovation. She comments on the complex relationship of the chaebol system and small and medium-sized enterprises in the South Korean economy, among other issues. In the past decade, South Korea’s remarkable economic growth has slowed, prompting calls for innovative policies that spur domestic reforms and job creation. The recent election of President Moon Jae-in has revitalized conversations on several domestic priorities, including improved social welfare and a reformed chaebol system. Yet questions remain as to how the new administration will achieve its stated goals. NBR asked June Park (Seoul National University) about the strategies deployed by recent South Korean administrations to meet domestic targets for economic growth and innovation. In this Q&A, Dr. Park comments on the complex relationship of the chaebol system and small and medium-sized enterprises in the South Korean economy, among other issues. The past several South Korean administrations have left their own distinct imprint on public policy. What similarities and differences exist between the economic agendas of the Lee, Park, and Moon administrations? Although each administration has sought to improve economic growth and job creation, the tactics of the administrations of Lee Myung-bak and Park Geun-hye were fairly different from President Moon Jae-in’s with respect to their economic goals. President Lee emphasized an “export-led economic growth” model, which led to aggrandizement of the chaebol economy. Chaebols are family-controlled, and partially family-owned, large conglomerates in South Korea that spearheaded the country’s economic growth in the 1960s and 1970s under Park Chung-hee. Many chaebols rose to the top of global markets, and South Korea excelled as an exporter during President Lee’s term. However, there were also shortcomings and failures in his administration’s ability to sustain this growth. Internationally, many failures were witnessed in the areas of resources diplomacy. The Lee administration utilized South Korea’s strengths in technology and product development to assist countries with energy investment projects, such as building nuclear power plants (i.e., United Arab Emirates), engaging in oil liquefaction projects (i.e., Iraqi Kurdistan), and mining (i.e., Madagascar, Bolivia, and Canada). Unfortunately, many of these projects conducted abroad did not generate revenue or yield long-term benefits for South Korea. Domestically, the failure of the Four Major Rivers Project caused severe environmental degradations and challenges for future administrations on restoration, while triggering public discontent with both the pollution and corruption. President Park promoted the “creative economy” model, which aimed to utilize a combination of science, technology, culture, industry, and creativity to spur economic growth and job creation. However, contrary to its intentions, the initiative was not able to spark a trickle-down effect from chaebols to small and medium-sized enterprises (SMEs), as the chaebol-centered economic structure rendered many of these cooperative attempts ineffective. SMEs likewise suffered under Park, as they had under the Lee administration. Unfortunately, a key failure of the creative economy model was revealed in the scandal involving Park’s friend and informal adviser Choi Soon-sil—the manifestation of a pattern of government-business relations. Bribery charges were also brought against Lee Jae-yong, the vice chairman of the Samsung Group. President Moon is pursuing what is presumed to be a “welfare state” model. This model does not necessarily promise the structural reform of SMEs but rather proposes an immediate increase of public expenditure on public-sector job creation. While such an agenda may serve the public’s interests in the short run, Moon’s major challenge will be bringing about substantial changes to the South Korean economy—namely, striking the right balance between welfare distribution and further economic growth. What specific targets has the Moon administration set in order to achieve its proposed goals? Moon’s major administrative priority—deobul-eo jalsaneun gyeongje (“living well together” or “living prosperously together”)—includes five main goals: the creation of (1) jobs for further income drive and growth, (2) a robust and fair economy, (3) an economy catering to the middle class, (4) the fourth industrial revolution led by science and technological development, and (5) an improved environment for start-up businesses and innovation-led growth, fueled by SME ventures. One goal that has already received a significant amount of attention is the idea of harnessing the benefits of the fourth industrial revolution. Klaus Schwab, founder and executive chairman of the World Economic Forum, defines the fourth industrial revolution as “a range of new technologies that are fusing the physical, digital and biological worlds, impacting all disciplines, economies and industries, and even challenging ideas about what it means to be human.” To name specific areas, the “internet of things,” autonomous vehicles, 3D printing technology, nanotechnology, robotics, and artificial intelligence are among the emerging, state-of-the-art technological developments that will shape the fourth industrial revolution. Moon’s appointment of Chang Byung-kyu—an early-stage venture capitalist of BonAngels—as head of the Committee for the Fourth Industrial Revolution is in line with Moon’s strategy in pushing this agenda. But the Moon administration has fallen short of making the specific goals toward the fourth industrial revolution clear to the public. The administration needs to clarify that it will foster an ecosystem that enables innovation and encourages start-up businesses, as well as striving to create an environment in which smart digitalization leads to better lives and new jobs. Specific methods to achieve these goals remain to be seen. From a policy perspective, it is concerning that Moon has not sufficiently made the connection between innovation and job creation to convince constituents of the potential benefits of this agenda. How does the traditional chaebol system shape or influence the country’s domestic drivers of innovation? The predominance of the chaebol system in the South Korean economy persists, not only in innovation but in the everyday flow of economic transactions between government, firms, and households. The chaebols have indeed played a huge contributing role in South Korea’s developmental state model. But in the post–developmental state era, striking a balance between the chaebols and SMEs is important in order for South Korea to go forward. That is, technology developed by SMEs should be given opportunities for global marketing and patent protection so that these businesses can make the most of their capabilities. Chaebols have wiped out sectors of the economy that were traditionally run by small neighborhood stores (such as mini-marts, restaurants, bakeries, and cafés) or smaller firms. Chaebol aggrandizement without adequate plans for employing the country’s youth going forward could exacerbate the level of household debt accumulation. What is driving the recent calls for chaebol reform? What are some of the factors to watch as this process unfolds? The drive for chaebol reform stems from the Park-Choi scandal and has been propelled by the prosecution of Lee Jae-yong. 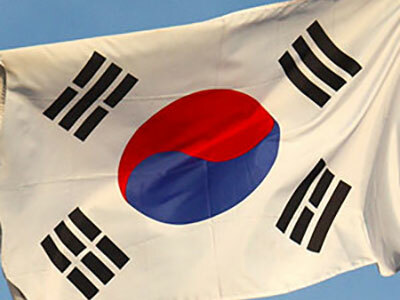 Under the Moon administration, Kim Sang-jo, appointed to lead the Korea Fair Trade Commission, has laid out an agenda for implementing chaebol reform since April 2017. This agenda focuses on curtailing the abuse of authority by the heads of the 45 South Korean conglomerates, including the four main chaebol groups (Samsung, Hyundai, LG, and SK), and reinforcing the rights of their minority shareholders. However, Kim made it very clear at the outset of the Moon administration that chaebol reform would not be carried out in such a way that chaebols would be punished by the administration. Instead, Kim has pledged to take a moderate approach toward chaebol reform by encouraging chaebols to voluntarily reform themselves. Initial steps ongoing right now involve the investigation of circular investment among subsidiaries and the irregular transfer of managerial control within owner families. This specifically targets firms where the owning family controls 30% or more of the chaebol’s shares. Owner families have also been creating social turmoil with considerably strict enforcement of company policies. Such actions will be under scrutiny as well. What policy conditions are necessary to create an environment that will allow SMEs to achieve their full potential as innovative contributors to the global economy? South Korea must develop a system that will empower SMEs to bring their projects to the global market. For example, the government should improve the lending of start-up capital, which would require payment by SMEs in dividends as their marketed products accrue sales. Providing legal support for patent protection and litigation for global marketing would be necessary and crucial in the earlier stages of new ventures. Other measures, such as tax breaks, could also be beneficial for SMEs and help their technology take off under their own brands, providing an alternative to being absorbed by chaebols for global marketization. Keeping this in mind, the collapse of the chaebol system is neither likely nor desirable for many reasons. Despite their previously discussed drawbacks, these large firms have both the infrastructure and financial capabilities to drive research and development. Even with increased government support, it will be a challenge for SMEs to provide the same amount of investment to allow for experimentation, testing, and development of new products. June Park is a Visiting Scholar in the Program on U.S.-China Relations at the Seoul National University Asia Center and a Non-resident James A. Kelly Fellow with the Pacific Forum CSIS. She is also a 2017 Asia 21 Young Leader with the Asia Society. Dr. Park specializes in U.S. foreign economic policymaking on the export-oriented countries of Northeast Asia and is currently working on a book titled Trade and Currency Conflict: Northeast Asian States Responses to U.S. Pressure. This interview was conducted by Ashley Johnson, a Project Associate with the Trade, Economic, and Energy Affairs group at NBR.